... production of high quality wines, with typical characteristic created by specific climate conditions and unique slate-soils of our vineyards. 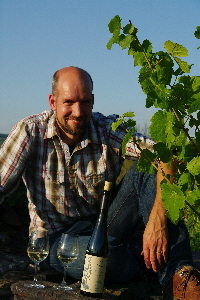 To achieve highest quality and taste, organic wine production is a key-feature. It helps us to keep our landscape and preserve resources. Organic plant management was always important to us. Since restarting the vinery in 1994 we do not use any chemical plant protection and synthetic fertilizer. This is a great contribute to natural soil vitality and our health. From 2006 on our vinery is certified by GfRS, an independent control organization for organic farming. We are also member in the organic wine association EcoVin.